A perfect first fine jewelry for a baby girl. 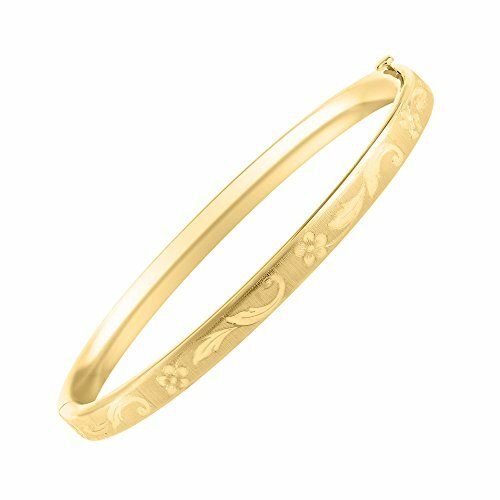 This beautiful bangle is made of 14K yellow gold and features a delicate floral design etched around the outside. The hinged opening makes it easy to open and close. The bracelet measures 4 1/2 inches around, and the safety slide opens another 1 1/2 inches for it to slip on easily over little hands. If you have any questions about this product by Loveivy, contact us by completing and submitting the form below. If you are looking for a specif part number, please include it with your message.